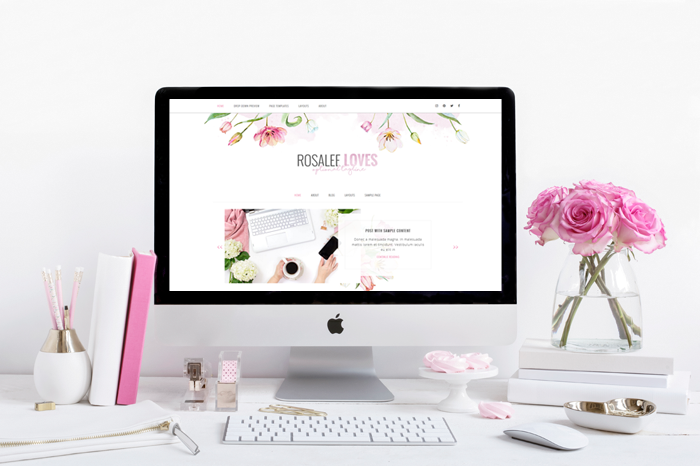 Rosalee is a highly versatile WordPress theme, perfect for the blogger who needs to showcase their content. One of our skilled designers will take care of your theme installation, including any requested color changes and logo implementation all within one weeks time so you don’t have to worry about a thing. We offer an amazing post-install support package that will provide you with basic troubleshooting help as you settle into your new design. Use slider and subscribe area to add even more widgets to showcase your recent posts or important information about your blog. Featuring post excerpts on the homepage will give your readers a taste of what each of your posts is about and will help increase your pageviews. Build your mailing list with conveniently placed opt-in boxes on the homepage and sidebar. The opt-in boxes work with FeedBurner, MailChimp, AWeber, FeedBlitz and more! Feature your most popular or most recent posts front and center on your homepage with the homepage slider feature. Feature your most popular categories on the home page so your readers have easy access to your best stuff.